← We’re re-introducing volunteer induction meetings! A requirement that all participants take hormonal contraceptives may have been what led to the disappointing failure of a study of pre-exposure prophylaxis (PrEP) targeted at single women, the International Microbicides Conference in Sydney was told today. 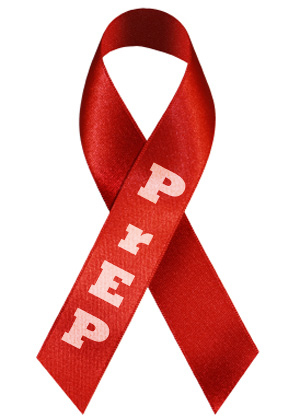 The FEM-PrEP study was stopped in April 2011 because almost as many HIV infections had occurred in women given tenofovir/FTC (Truvada) pills (33 infections) as in women given inert placebo pills (35). This result contradicted efficacy results seen previously in gay men and subsequently in two other PrEP trials involving women, Partners PrEP and TDF2, where Truvada stopped between a half and two-thirds of the HIV infections that would otherwise have occurred in female trial participants. Why such a different result in FEM-PrEP? A study presented recently at the Conference on Retroviruses and Opportunistic Infections (CROI) in Seattle showed that fewer than 40% of women actually took the pills with reasonable frequency. Since then, as Connie Celum (principal researcher in the Partners PrEP study) told the conference today, drug level studies have established it was even worse: only 26% of participants who did not acquire HIV took the drug as prescribed. There was also an extraordinary contradiction between participants’ adherence based on pill counts and self-reports, and their actual adherence. Self-reported adherence is usually higher than it is in reality, as are other ‘good’ behaviours like condom use or not breastfeeding, but are usually correlated with actual adherence to some extent. In FEM-PrEP there was no relationship between the two: self-reported adherence was 95% and adherence based on pill count was 86%. Why was adherence so low in FEM-PrEP and misreporting it so disproportionately high? One answer may lie in the requirement that all participants take hormonal contraception. Because safety requirements around drugs in pregnancy are so strict, PrEP trials in women have required either that they drop out of the trial if pregnant or use contraception in order not to become pregnant. If pregnancy leads to trial exclusion, this may make the trial too small to produce a meaningful result, as may have happened in the first-ever trial of PrEP in west Africa. So the FEM-PrEP researchers required all participants either to be on hormonal contraception or to start it. At the start of the trial, 38% of participants were using injectable hormonal contraceptives, 8% were using the contraceptive pill and 2.5% other non-barrier methods like IUDs. Of the other 50% of participants, one-third (17% of participants) were using condoms as their birth control method and two-thirds were not practising birth control. In the women not already using hormonal contraceptives, 55% (28% of participants) decided to take an injectable contraceptive but 43% (22% of participants) took the oral contraceptive pill, a much higher proportion than that of existing users of contraceptives. Previous non-users tended to be younger (23.5 versus 25 years) and were much less likely to be married (22 versus 40%) than existing users. They were at just as much risk of HIV, had the same number of sexual experiences, and had the same high rate of STIs (one woman in six had an STI diagnosed). Despite this, 70% thought they were “not at high risk of HIV” even though local background incidence is five infections per 100 women a year. Women starting contraception were therefore starting two new medications – the contraceptive and PrEP – and if they were taking the contraceptive pill, both medications had to be taken every day. Far more of the women who were new to hormonal contraception (6%) than women who were already using contraception (2%) told the researchers they had switched the method of contraception they were using during the trial. Among women taking oral contraception, 13% of those who were new to contraception and 8% of women already using contraception switched during the trial. Rates of adherence to oral contraceptives must have been much lower than this. The pregnancy rate in trial participants was high, despite the contraceptive requirement. Overall, 8% of participants became pregnant per year. In new initiators of contraception it was higher – 14% – and in those who started oral contraceptives it was a sky-high 30% a year. In contrast, it was 2% in those taking injectable contraceptives, regardless of whether they were new or existing users. Clearly, adherence to the contraceptive pill must have been very low. Was there a link to low Truvada adherence? Yes, there was, to the extent that if FEM-PrEP had been restricted to women already using injectable contraception, the study would have very nearly produced a positive result. The risk of HIV acquisition was 80% higher than average in women who initiated the oral contraceptive pill; conversely, it was 53% lower than average in current users of injectable contraceptives. Because of the small number of infections, neither of these differences was statistically significant, but the 53% reduction nearly was (95% confidence interval 79% to minus 4%). Pill-count adherence to Truvada was modestly lower in contraceptive initiators and they were, as already pointed out, younger and more likely to be single and, if they became pregnant, to do so for the first time. These effects moderate the lower adherence to Truvada and to contraceptives. In summary, adherence to contraception was extremely low in those taking contraceptive pills as well as in general to Truvada. These results don’t imply a causal link between the contraception requirement and the trial failure but they could help to explain why self-reported adherence was so unreliable; women applying to the trial, who may already not think themselves at enough risk of HIV to remember a daily PrEP pill, may also have to remember to take an oral contraceptive pill – or may have had no intention of taking it. They then also have to ‘confess’ to researchers that they have taken neither of their medications. In conclusion, presenter Douglas Taylor said, the results of the FEM-PrEP study require researchers to reflect on how better to screen trial applicants and to support adherence non-judgementally during the trial.